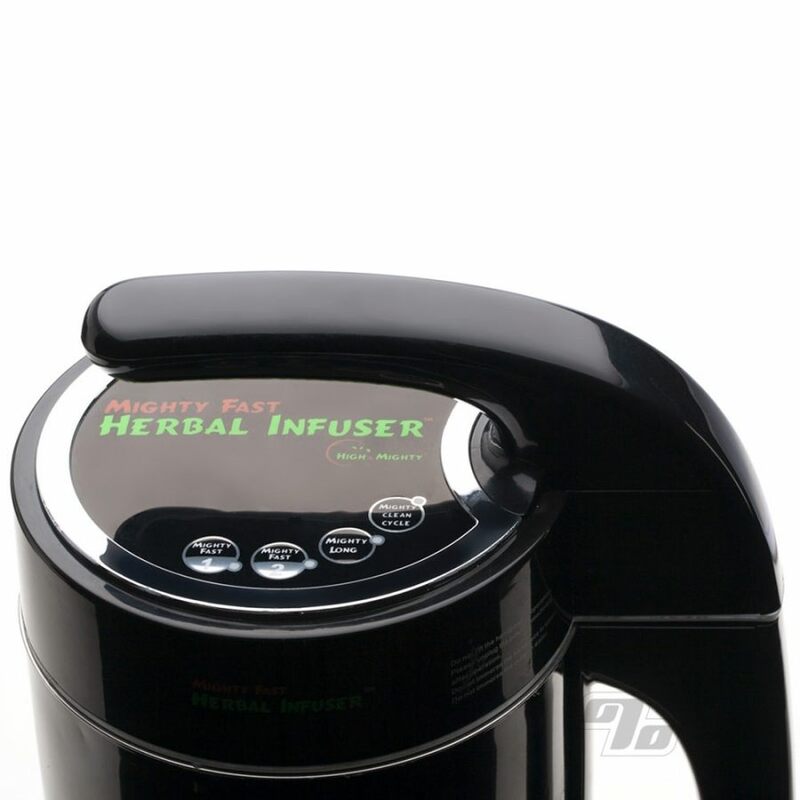 The Mighty Fast Herbal Infuser is not your average "kitchen appliance". This gadget makes it easy to infuse your own herbal butters and oils that anyone can successfully do it every time. Coconut oil, olive oil, unsalted butter, avocado oil, vegetable glycerin and more. With the Mighty Fast Herbal Infuser, High & Mighty has put in the research time and determined precise times and temperatures to create the best infusions so you don't have to. Depending on which cycle you choose, have your batch done in as quick as 45 mins, or go to 90 mins and even 240 mins depending on the recipe. Designed for everyday use, the Herbal infuser is made of high quality double walled stainless steel; heavy duty and made to last. Weight stands at 8 Pounds and outer dimensions come in at 8 x 8 x 13 in. 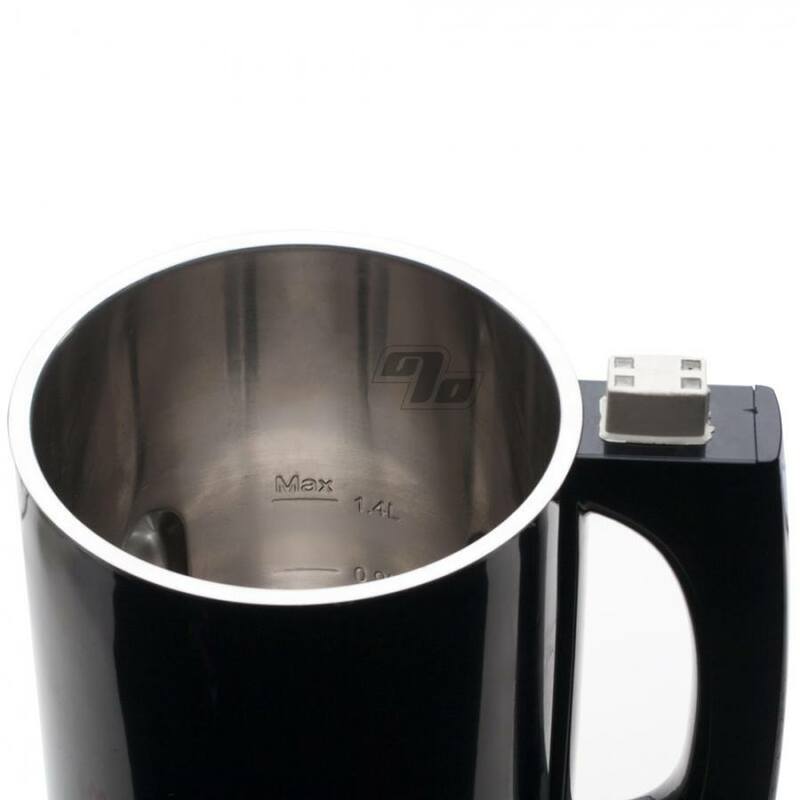 Capacity can range from 2-5+ Cups of liquids. After a few early experiments you'll want to take it up a notch and start making anything from your own tinctures to sauces, salad dressings, and skin care products. Even pet medicines. 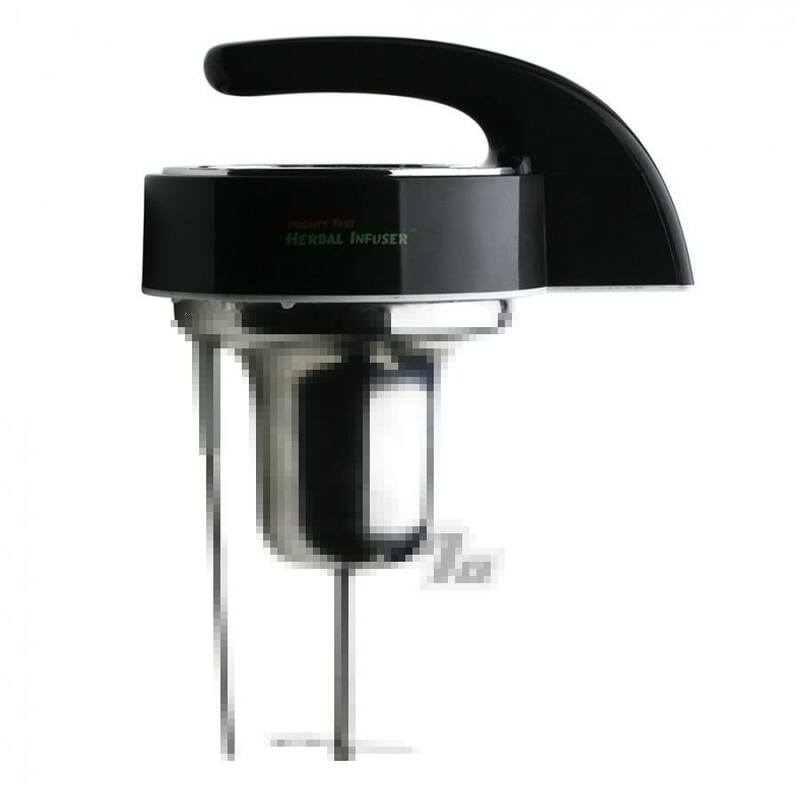 Herbal Infuser unit, strainer, measuring cup and 110V power cord are all included with each machine. 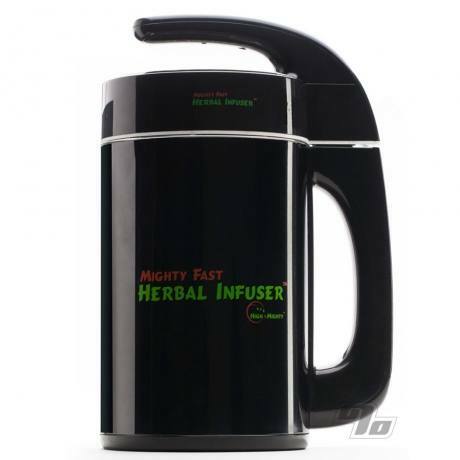 The Mighty Fast Herbal Infuser is covered by a one-year limited warranty from the date of purchase if determined to be a manufacturers defect. Imported.